Once again a great fusion, Combination of two most favourite recipes of kids. And a smart way to add selected vegetables in pasta. Yesterday I had some spare pizza sauce and leftover boiled pasta. So I tried to combine them together. The result was awesome, simply mouthwatering homemade recipe with fewer efforts. 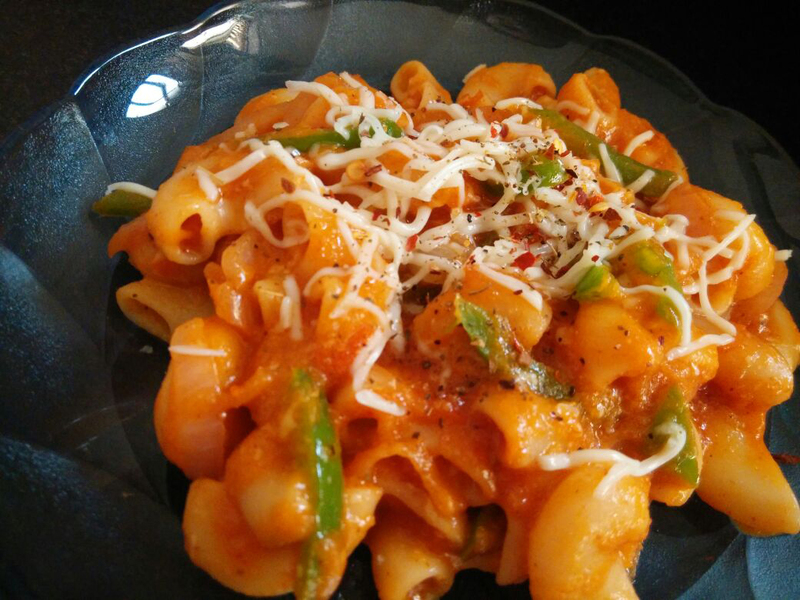 So let's try this quick, easy and delicious recipe for Pasta Pizza today instead of regular pasta. Heat oil in a non-stick pan and add all vegetables to it. Add salt and stir fry for 2 minutes at the fast flame. Now it's time to add pizza sauce and mix. Add all dry spices and tomato ketchup to it and mix well. Now add boiled pasta to it and mix well. Last but not the least it's time to add the most popular ingredient to it grated cheese. Transfer to serving plate and garnish with grated cheese, chilli flacks and oregano. 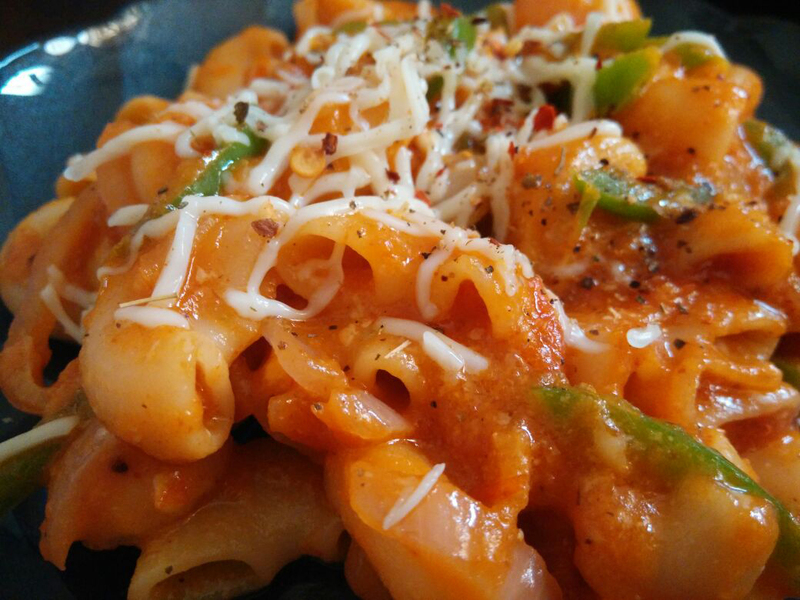 Piping hot Pasta Pizza is ready to eat or serve.